From as far back as she can remember, Amy R. Saltz has been on a quest for healing. As an adolescent, she reached out for help and got debilitating invalidation in a hospital setting, which brought overwhelming shame and despair that ultimately caused her to try to take her life. As a result, she suffered severe burns to her mouth, lost most of her tongue, then was hospitalized for years with a feeding tube and underwent skin grafting. No surgeries could restore her tongue, and she was told that she might never be able to talk or eat by mouth and would likely be institutionalized for life. Instead, her yearning for healing somehow led her to re-enter life and teach herself to talk and eat (although it’s difficult and limited) and begin to search for connection. Love emerged, as did death. It was working through loss that brought her the healing she’d been longing for since youth. 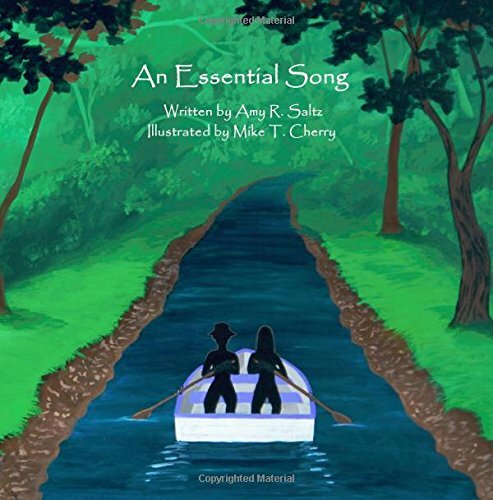 What is “An Essential Song” about? “An Essential Song” was written from an outpouring of gratitude for the healing that I’d been seeking over decades and found in a way I never imagined possible—through loss. I longed to do something to offer thanks as well as hope. My biggest challenge was discovering a way to tell an honest story that contains sadness without being too heavy for the reader. The idea to utilize colorful illustrations helped me create images that could gently hold the reader with me. I wish for all of us to be able to express our losses—any and all kinds of losses, emotions, and experiences—and find healing. I enjoy fiction that has depth, meaning, and intricate relationships. I like to be able to connect with the characters. Is there a certain author or book that has most influenced your life? The book that has meant the most to me throughout my life is “The Little Prince.” I treasure the quote, “It is only with the heart that one can see rightly. What is essential is invisible to the eye.” It was thrilling to receive permission from Antoine de Saint-Exupery’s family to include this quotation in my book’s preface. I chose the word essential to be part of my book’s title. What can you tell us about your self-publishing experience? It was technologically challenging—especially with the illustrations. I am thankful, though, that there is an inclusive way for people to publish! I teach and play mah jongg. I also run a music program where we sing for joy. I’m the percussionist as well. In addition, I’m a cyclist. I ride my bike instead of driving my car whenever weather permits. I call myself the ‘wicked witch of the North Shore’. All roads lead to where you are now. Let your story flow through you. I’ve been asked to use my book to teach the psychiatry residents at a nearby medical school. Amy, thank you for joining us today and sharing your remarkable story!